Periodontists are dentists who have received advanced training in diagnosing, treating and preventing gum disease. The have an in-depth understanding of how to treat the teeth and jawbone in relation to gum disease. 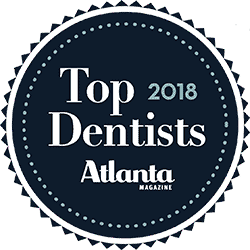 Dr. David Pumphrey completed four years of Dental School and then went on to complete another three-year postgraduate course of study in periodontics. Many of our patients have chronic gum disease that doesn’t respond adequately to simple treatment. We can save teeth and preserve bone by eliminating gum disease in cases that a general dentist might not be equipped to handle. Our comprehensive periodontal examinations include an evaluation of both your bite and your smile, an oral cancer screening, and a thorough check for periodontal or gum disease. We use a small instrument called a periodontal probe that is gently placed between each tooth and the surrounding gum tissue to measure the depth of the pockets or spaces between the teeth and gums. If you would like help in addressing your dental health, give our office a call or complete our request an appointment form online.